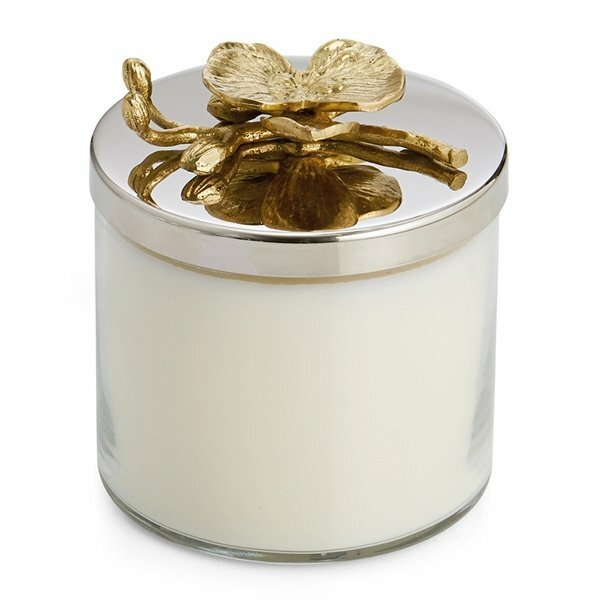 Michael Aram Golden Orchid Candle is inspired by the seductive and ethereal beauty of orchid blossoms.  The essential elements are lemon blossom, geranium, gold orchid, violet bloom, sandalwood, and Amazonian mahogany. The flower is symbolic of new beginnings, purity, truth and kindness. Container made of glass; lid made of nickel-plated, black nickel-plated, and gold-tone metal.